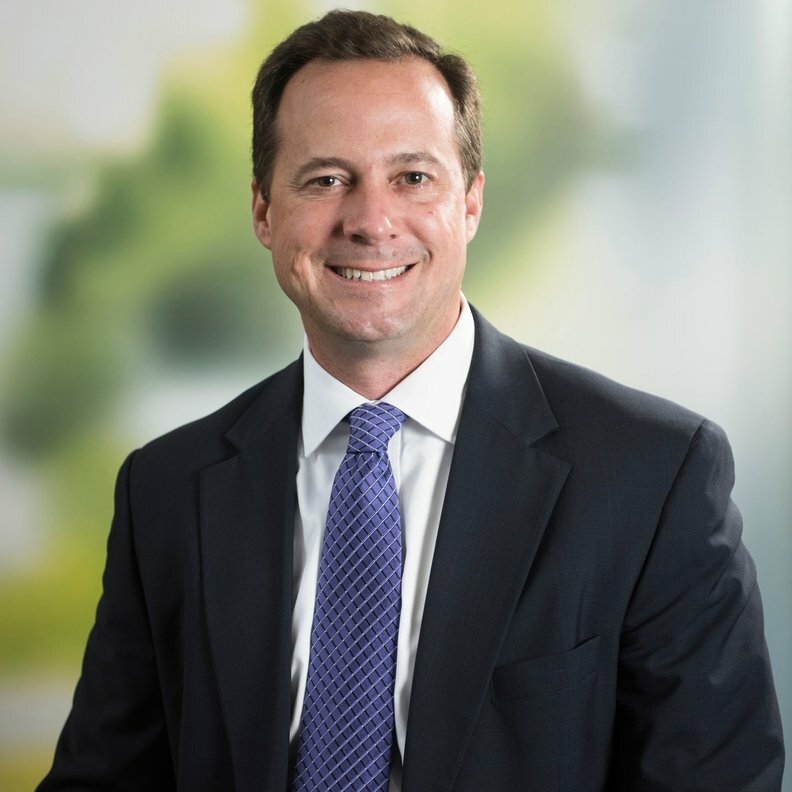 Bon Secours Mercy Health CEO John Starcher, Jr.
Mercy Health and Bon Secours Health System completed their merger, the Catholic health systems announced Wednesday. Bon Secours President and CEO Rich Statuto will continue to advise the combined entity's strategic growth and innovation until he retires in 2019, capping a 13-year tenure as Bon Secours' chief executive. Replacing him is former Mercy Health president and CEO John Starcher Jr. who, upon the merger's close Wednesday, announced that his new leadership team will include Chief Operating Officer Brian Smith, Chief Clinical Officer Dr. Wael Haidar, Chief Financial Officer Debbie Bloomfield, Chief Strategy Officer David Cannady, Chief Administrative Officer Mark Nantz, Chief Enterprise Risk Officer Jeff Oak, Chief Legal Officer Michael Bezney, Chief Community Health Officer Dr. Sam Ross, Chief Sponsorship and Mission Officer Sister Anne Lutz, Chief Human Resources Officer Joe Gage, Chief Marketing Officer Sandra Mackey, Chief Nursing Officer Andrea Mazzoccoli, Chief Sponsorship and Theology Officer Thom Morris, and Chief Mission Officer Father Joseph Cardone. The combined system has 43 hospitals, around $8 billion in net operating revenue and nearly $300 million in operating income. More than 57,000 employees, including 2,100 physicians and advance practice clinicians, work in more than 1,000 locations across the East Coast and Midwest, including more than 50 home health agencies, hospices and skilled-nursing and assisted-living facilities. The similarly sized organizations have minimal overlap. Mercy Health's footprint spans Ohio and Kentucky, while Bon Secours has operations in Maryland, Virginia, South Carolina, Kentucky, Florida and New York. When the merger was first announced this year, Statuto said the systems "shared a commitment to improve population health, eliminate health disparities and build strength to address social determinants of health." Healthcare providers across the country are forging similar combinations. Although economists worry that any proposed cost savings from merging wouldn't offset the potential to raise healthcare prices. The impacts of cross-state mergers are relatively unknown. One study found that if the merging hospitals were in the same state but at least 30 minutes apart, prices increased by about 6% to 10%, according to the research conducted by Northwestern, Harvard and Columbia universities. But there were no significant price changes resulting from mergers between hospitals in different states. The merger is considered to help buoy Bon Secours, which has been losing money in three of its markets, including its Virginia-Hampton Roads Health System, Kentucky Health System and Baltimore Health System. Those areas cover low-income and high-cost populations. Bon Secours Mercy Health will operate under the governance of one board of directors, led by chair Chris Allen, who currently serves as chair of the Bon Secours board. The overarching governing entity, which has canonical oversight of the system, will be called Bon Secours Mercy Ministries and will be chaired by Sister Pat Eck.